The idea is to promote active lifestyle among target groups based on synergy between physical exercise, mental peace and health improvement. This is intended by development and implementation of education module which will be designed in theory and practice, on languages of all project partners participating. In development and implementation of module, all project partners will be included equally in order to replicate it thoroughly in all project partners’ home countries. 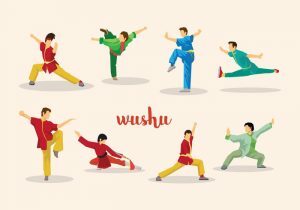 Main goal of the project #WushuElixir is to ensure participation in sport and physical activity of elderly people and people with disabilities, including people with conditions such as diabetes, Parkinson’s disease, arthritis and cancer. The project will contribute on social inclusion and equal opportunities in sport, especially by supporting the implementation of EU strategies, notably the EU Disability Strategy. After the successful implementation of the project “Green bicycle of Dalmatia” in 2015, which was funded from the Split-Dalmatia County, the importance of active life and recreation has been recognized through the project “Pedaling-my healthy choice”. This project is funded through call for proposals of Split-Dalmatia county as a project of general contribution in 2016. The project activities provide fun-educational events (Pub quiz) to encourage young people to develop awareness about the bicycle as an ideal vehicle, whose use can contribute to a healthy and clean city, improve their own health and quality of life. Multiple teams (2-4 participants per team) will apply for participating in Pub quiz and they will inform themselves about assigned quiz topics 7 days prior to knowledge competition. 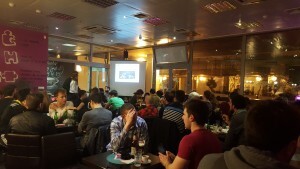 Project is implemented in partnership with Cycling club “Stina”, which will be responsible for moderating educational workshop “Important facts to know about bicycle”, referring to the themes and issues of previously held Pub quiz. 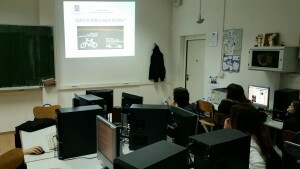 News – Link implemented project titled “Green bicycle of Dalmatia”. During end of year 2015 and beginning of 2016, Link implemented project titled “Green bicycle of Dalmatia”. The project activities lasted from 11th November 2015 till 22nd March 2016, and were funded from the Split-Dalmatia County.